Shown in this fresh round of video demos is a 10-second boot-up of the Librem 5 phone start-up on their developer kit, receiving a voice call on the developer kit, the SMS text messaging/chat application, web browsing and video playback, and a devkit to devkit phone call. I am pleased to announce a significant change in Mer and Sailfish OS which will be implemented in phases. As many of you know Mer began many years ago as a way for the community to demonstrate “working in the open” to Nokia. This succeeded well enough that Mer eventually closed down and shifted support to MeeGo. When MeeGo stopped – thanks to its open nature – we, Carsten Munk and I, were able to reincarnate Mer as an open community project and continue to develop a core OS and a suite of open development tools around it. Over time a number of organisations used the Mer core as a base for their work. However, there was one that stood out: Jolla with Sailfish OS which started to use Mer core in its core and they have been by far the most consistent contributors and supporters of Mer. Once again, Mer has served it’s purpose and can retire. To clarify that this will be the official ‘working in the open’ core of SailfishOS we’re going to gradually merge merproject.org and sailfishos.org. I’d like to just say that the colours of the websites will change and we’ll be able to access the existing resources using new sailfishos.org links. So whilst that summary is true, actually it’s more complex than that! Yes, the same hardware will run the same services and Jolla’s sailors will continue to push code to the same systems. There will be more time to keep the servers updated and to improve community contribution mechanisms. As technology gets closer and closer to our brain, the moral issues of digital rights become clearer and clearer. It started with computers, where we would leave them and come back to them. Then phones, that we always have on or near us with millisecond leakage of personal data beyond human comprehension. Then wearables, that are tracking very private details. IOT devices are everywhere— I have to stop to remind everybody: “The S in IOT is for Security” ~ Anonymous—and finally, surgically implanted. A question to consider: What Big Tech Company would you purchase your future brain implant from? This is coming. However, I believe we can change the future of computing for the better. Let’s stand together and invest, use, and recommend products and services that respect society. Star Labs Systems have been producing Laptops tailored for Linux for some time. Recently, they have recently launched a Kickstarter campaign for their upcoming ‘Open Source Edition’ laptop that incorporates more features as per the requests by the users or reviewers. A lot of people probably remember the 1990s palmtop computers made by Psion fondly. The clamshell-design palmtops were pocketable, black and white, but had a working stylus and a fantastic tactile foldout QWERTY keyboard that you could type pretty substantial documents on or even write code with. A different company -- Planet Computers -- has now produced a spiritual successor to the old Psion palmtops called the Gemini PDA that is much like an old Psion but with the latest Android smartphone hardware in it and a virtually identical tactile keyboard. It can also dual boot to Linux (Debian, Ubuntu, Sailfish) alongside Android. The technical specs are a MediaTek deca-core processor, 4GB RAM, 64GB storage (plus microSD slot), 4G, 802.11c Wi-Fi, GPS, Bluetooth, eSIM support, and 4,220mAh battery. The screen measures in at 5.99-inches with a 2,160 x 1,080 (403ppi) resolution. The only thing missing seems to be the stylus -- but perhaps that would have complicated manufacturing of this niche-device in its first production run. The Nintendo Switch is Nintendo’s latest console/handheld, and it’s doing really well for itself in terms of sales and appeal. It also marks a change in attitude from Nintendo as well, as the device is not only powered by an Nvidia Tegra system-on-chip, but the company even reportedly wanted to employ the now-defunct Cyanogen Inc. to develop their operating system. Since the discovery of the Fusée Gelée vulnerability, Switch modding has really taken off in the community. Users have theorized for a long time now whether it would be possible to port Android to the Switch. 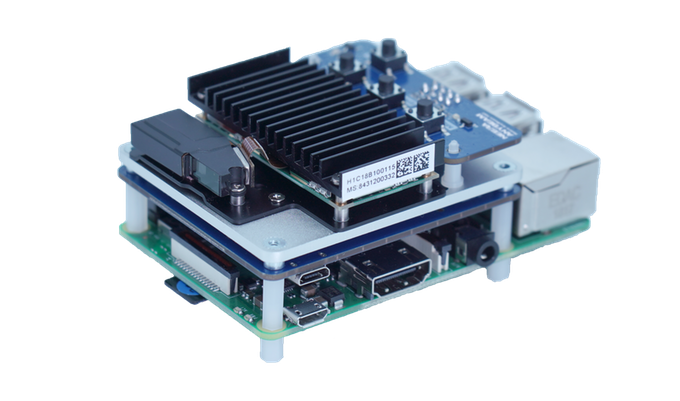 After all, Linux has been ported to it and the device uses the Tegra X1 SoC for which there is documentation to refer to. All that’s left is the blood, sweat, and tears of developers interested enough in porting Android. One developer by the name of ByLaws is taking the challenge of turning a Nintendo Switch into an Android tablet. Can the Pinebook Pro Linux deliver where others fail? When everything went online, the need to have an all-powerful computer was no longer that urgent. Today, we can do everything online - from writing, to picture editing, to entertainment and much more. Tablets became the next best thing, but they, in rather dramatic fashion, proved to be a fad. These days you rarely see them, gone was the time when everyone was dying to be seen with one. This made way for hybrids, though to be fair, tablets opened the path to low-end computers going mainstream. This is where the Pinebook comes into existence. Sure, they market it as a tinkerer’s laptop, but, it is, in every sense, a fully working laptop, and by the looks of it, the best contender available to Chromebooks. The smartphone world is basically a duopoly at the moment. Android is the dominant operating system and iOS comes in a distant second place, while competing platforms such as Windows, BlackBerry OS, Symbian, FireFox OS have largely been abandoned. There are still a few holdouts — Jolla continues to develop its Sailfish OS, but its market share is virtually nil. Niche hardware and software isn’t cheap… but maybe it can be. Pine64 has announced that its developing a cheap Linux phone called the PinePhone that could sell for as little as $149. The goal is to also provide physical switches that can disable or enable the wireless components, cameras, and speaker for privacy. Today we started offering the Sailfish X Beta software package including the much awaited Android application support. You can get it now for your Sony Xperia XA2, Xperia XA2 Plus, and Xperia XA2 Ultra devices from the Jolla Shop! The awaited Android application support includes major architectural changes, and upgrades the support from Android 4.4.4 to Android 8.1, significantly improving the Android app compatibility. This is a major upgrade in the Android Runtime in Sailfish OS as it will open up a wide range of additional apps to enjoy in your beloved Sailfish device and, even though still in beta, we’re confident that you’ll enjoy using it to take full advantage of the latest apps – if you prefer to use Android apps on your device of course. As already stated in our earlier blog post, the now released version of the Android app support is a public beta. At this stage it still has many known issues but we still wanted to make it available, and thus we had to make the call to offer the Android app support part of the package free of charge for the time being until the beta label is removed. Smartphone users are usually torn between the two choices — Android or iOS. Their dominance is such that other competing OS like Windows, BlackBerry OS, or Symbian have almost been abandoned. Those who don’t want either of them can opt for Pine64’s Linux phone dubbed the PinePhone, which offers good hardware and software at an affordable rate of $149. The Librem 5 Developer Kit started arriving in the hands of developers, and focus was shifted towards supporting the growing number of developer requests – we want to make sure that shared advancements are truly shared across the developer community, it exciting to see the rapid progress being made. Much of the work being done aims at making the kit work as well as possible for all kinds of developers. And even those working on non-critical issues at the moment are busy enjoying the discovery of all the capabilities of the dev kits. We are keeping track of issues by tagging them with the devkit tag in GitLab – a summary of which can be found at this overview. 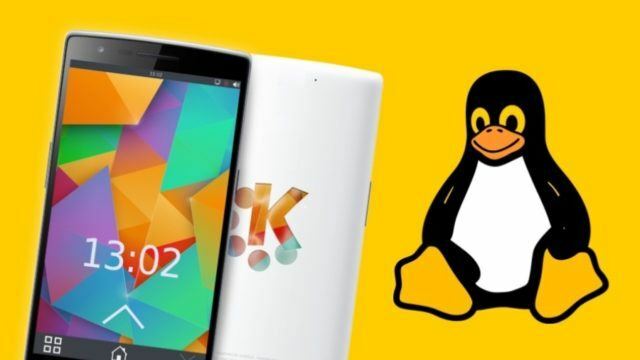 Just before Christmas, Purism began shipping the Librem 5 developer kits and with that increasing questions about the Librem 5 Linux smartphone, the company has published some new FAQs about the security-minded smartphone as well as publishing a concise list of the currently planned specifications. The specifications are much the same as when they were last covered, albeit now in a convenient list. The i.MX8M SoC is still at the heart of the phone though it's still yet to be determined whether the 8M Quad or 8M Quad Mini will be utilized. With either of those SoCs is the Vivante graphics, tentatively planning to ship with 3GB of RAM, and a 5.7-inch 720x1440 display, 802.11g/n WiFi, and one SIM card. There are currently 1 user and 178 guests online.